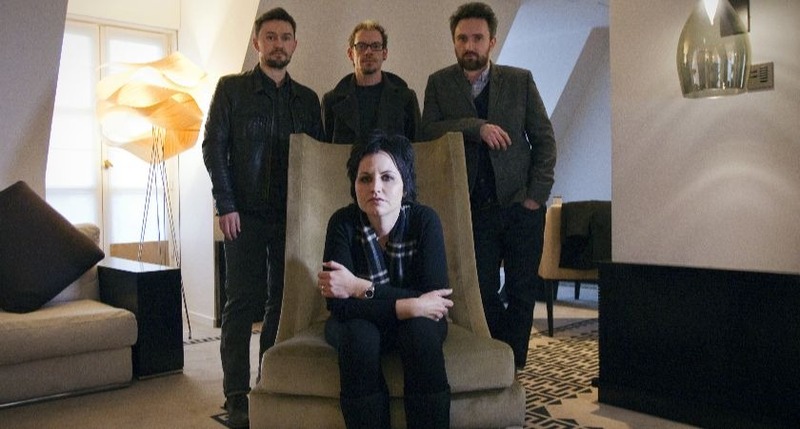 CRANBERRIES GUITARIST Noel Hogan has opened up about the tragic death of lead singer Dolores O'Riordan and his memories of how she first came to join the band. O'Riordan was found dead in a bathtub at the London Hilton on January 15th, 2018. While there were initial concerns that the 46-year-old, who struggled with mental health issues, had taken her own life, an inquest later ruled her death accidental. Noel Hogan and bandmates Fergal Lawler and brother Mike Hogan had been working on a 25th anniversary edition of their debut album Everybody Else is Doing It, So Why Can't We? with O'Riordan prior to her death. Her passing left the group in an understandable state of shock. "Everything just fell apart," Hogan told Rolling Stone. Despite the suspicious circumstances surrounding her death, Hogan remembered O'Riordan being in a positive place prior to her passing. "When I heard the news, it just didn't add up," he explains. "So I knew she didn't do this deliberately. And the inquest confirmed that." Hogan also recalled how O'Riordan ended up fronting the band, who had originally started out with an entirely different kind of singer and sound. "I can still remember it like it was yesterday. It was a Sunday afternoon. And everyone kind of knows the story of how we had a singer before Dolores [Niall Quinn], and that it was a completely different sounding band at that time," he said. "So Niall came up with Dolores on that Sunday and I remember she was shy, very soft-spoken. A very quiet country girl. Not the Dolores that everyone grew to know. And she comes in and we're just kind of a gang of young guys sitting around the place. It must have been very, very intimidating for her. But she sang a couple of songs that she had written herself, and she did a Sinéad O'Connor song, "Troy." And then we did some of our stuff. I remember we definitely played the instrumental version of "Linger." I was just shocked that she wasn't in a band already. Because the minute she sang, you know, it was like your jaw drops at her voice. When she was getting ready to leave I gave her a cassette that had the basics of "Linger" on it and I said, 'Do you want to take this home and work on it?' And within a few days, she'd come back with basically the version of the song that everyone knows." Hogan also revealed how O'Riordan struggled with the fame that came with the band's early success, with the band's debut album hitting the top of the UK and Irish album charts and proving a hit in Australia and America. "I think she found it most difficult going back to Ireland. Because Ireland is a small country, and not a lot of huge music celebrities, particularly at that time, had come out of Ireland - you had U2 and probably, you know, Thin Lizzy, who are the two I can remember that would have had the most success. And we were so young. I know she started to find it harder and harder to go back home because people wouldn't leave her alone," he told Rolling Stone. "The boys and myself, we had a touch of that, but we stayed very much within our circle of friends that we had grown up with. So when we went home and we went out, we were in many ways protected a little bit. Whereas Dolores had grown up in the country [in Ballybricken, outside of Limerick] and most of her friends were out there. So if she went into the city it was a bit more difficult. So as the years went by she spent less and less time in Ireland. It was easier to be in places like New York, where you can kind of be anonymous and disappear into the crowd." 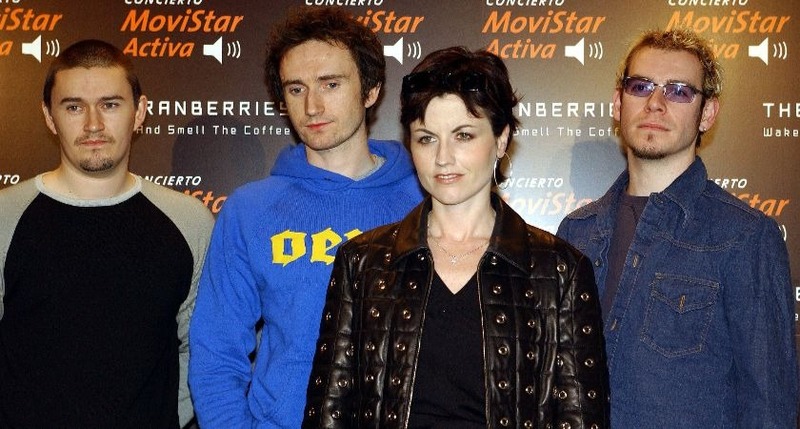 The remaining members of The Cranberries have been busy in the months since O'Riordan's sad passing. They have completed the 25th anniversary of their first album and a new record, titled In The End, featuring songs and vocals from O'Riordan, which will be released in 2019. After that, the group intends to go their separate ways. 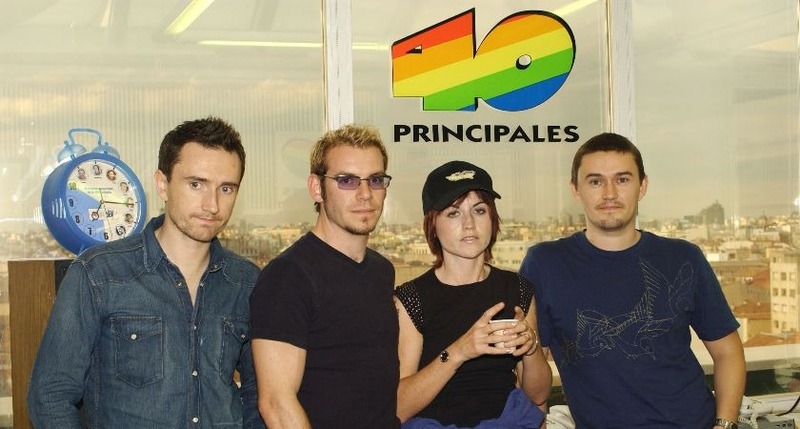 "The Cranberries is the four of us, you know?" Hogan reflected. "Without Dolores, I don't see the point of doing this, and neither do the boys." Read the full Rolling Stone interview here.